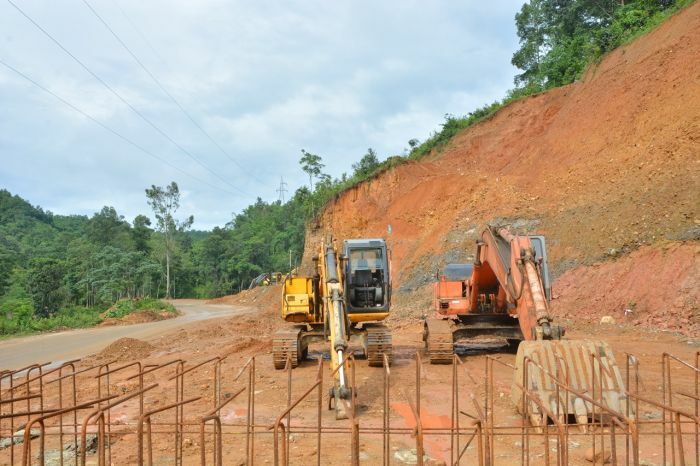 Former Nagaland Chief Minister and now leader of the Opposition, T R Zeliang on Tuesday has asked the PDA Government in the State to immediately initiate appropriate measures to ensure that four-lane works on National Highway 29 was completed on time without any hindrance. In a communiqué, Zeliang pointed out that ongoing work to convert Dimapur-Kohima road into a four-lane was the first and among the most important national projects in Nagaland that would immensely benefit the citizens, including commuters from neighbouring states passing through Kohima and the State’s commercial hub Dimapur. The communiqué further mentioned that in recent times, harassment of workers and theft of machineries by anti-social elements had brought the construction works to a grinding halt. ‘This proved the stark reality of lawlessness and mayhem in the State,’ Zeliang had stated. Through the communiqué, Zeliang also questioned the State Government to explain what problem and difficulty it was facing in initiating action to ensure safety of workers and machinery, even when land-owners and civil society groups were supporting successful implementation of the important project. He also demanded that the State Government should immediately carry out investigations, book the culprits and initiate appropriate action against them.